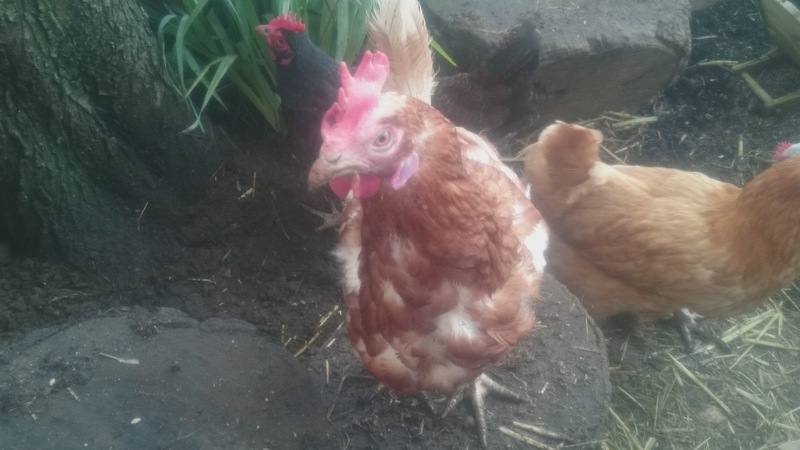 In December, it was announced that there was a risk of avian flu, and that all poultry needed to be kept inside / away from wild birds. The current strain of bird flu is of very low risk to public health, but the wellbeing of birds is paramount. The quarantine period has now been extended to the end of February following further cases being found. Sadly, some of those are local to me. 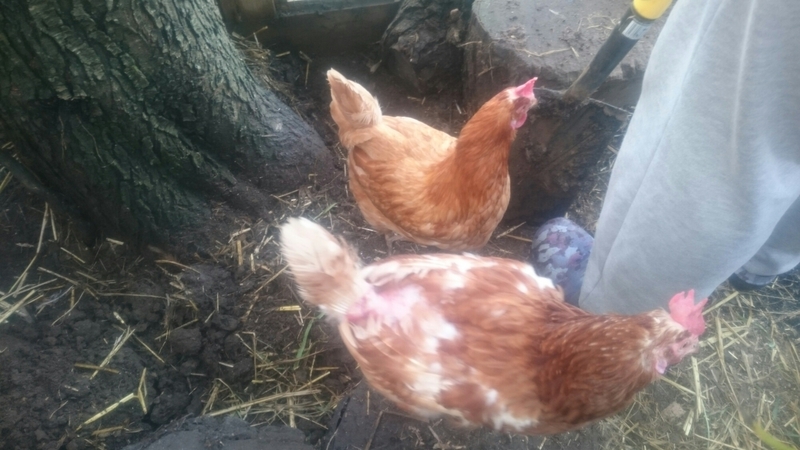 Our five chickens have a fantastic run which we built last year, with a roof, so wild birds or any other animals, can’t get to them. They have plenty of space to roam in the fresh air, but without being entirely free range. Therefore, we are complying with the rules to keep them and their food and water away from wild birds. This weekend, we thought we’d spend the day in the enclosure and entertain them. We’ve gone a little ‘grand designs’ on the run to ensure they are not bored. 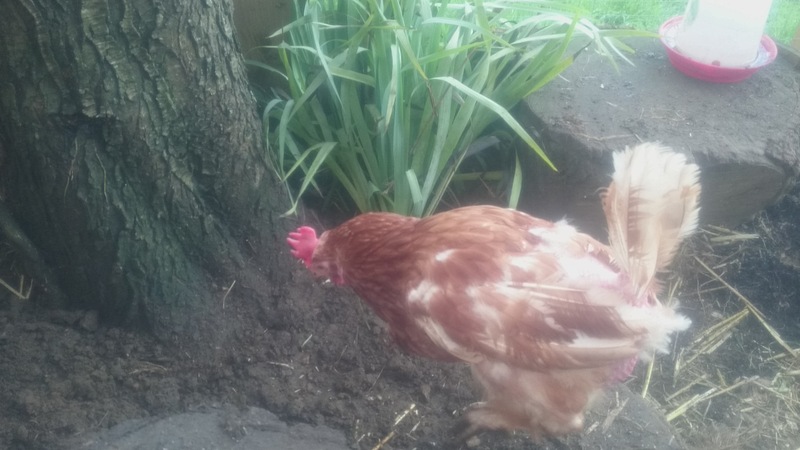 We dug holes (which they loved) and we planted some greenery that hopefully they won’t eat, but will attract lots of bugs and insects and also provide interesting hiding places. 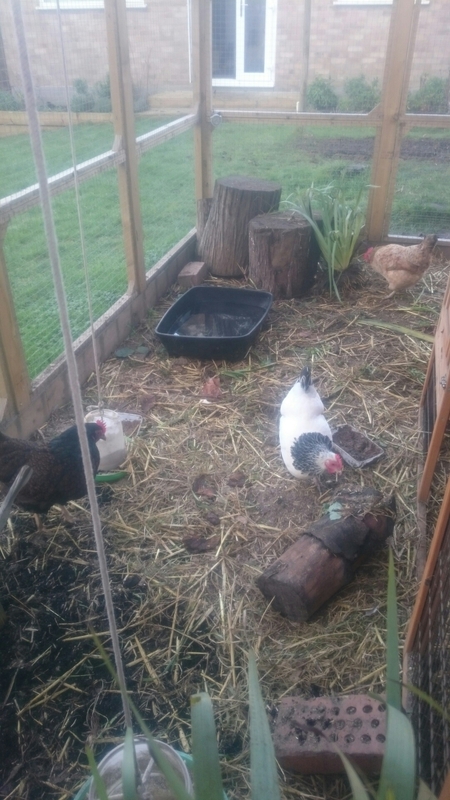 They have various hanging feeders, a pile of logs of varying heights to jump on and to attract woodlice (a favourite bug of theirs), straw to kick through, a dust bath area and perches that get lots of sunshine (when the sun makes an appearance). My husband also installed “spa facilities” as he called it, which was an old litter tray filled with water for them to paddle, but much to his disappointment they weren’t interested in that (I did try to tell him they weren’t ducks). So, after mumbling something about them being silly chickens, he told them their spa membership fee was non-refundable and removed it. They seem pleased with their new activity centre, although what they most enjoyed most was us digging with a shovel and them jumping in the hole, which I’m afraid we can’t do all day everyday! We still have jobs to go to unfortunately. 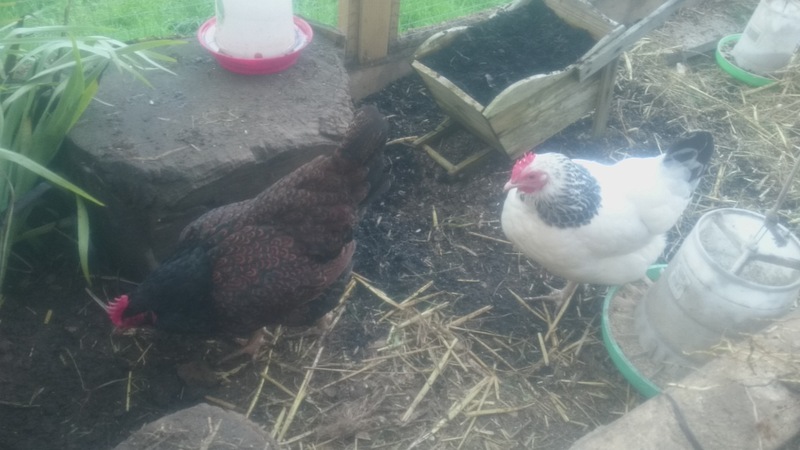 Our girls are happy where they are, but I’m sure there are many chicken owners who are struggling with makeshift enclosures while the quarantine is in place. Hopefully not for too much longer, but the birds’ welfare is the most important thing, so if indoors is the answer for now, then so be it. 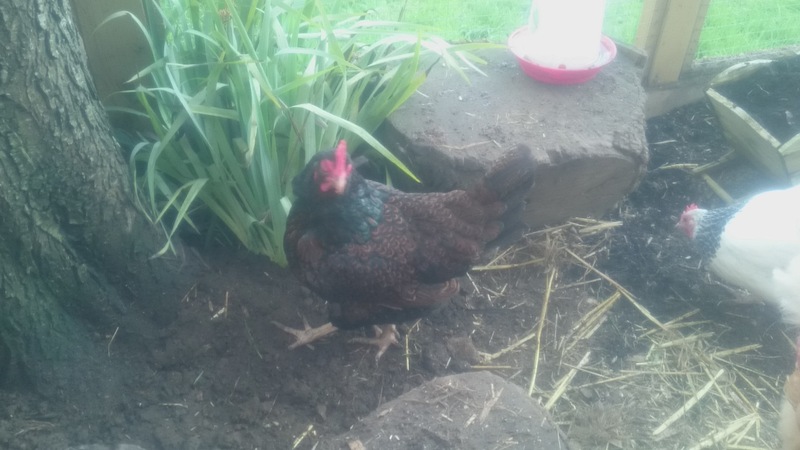 Better to be indoors and healthy than free range and dying of avian flu. 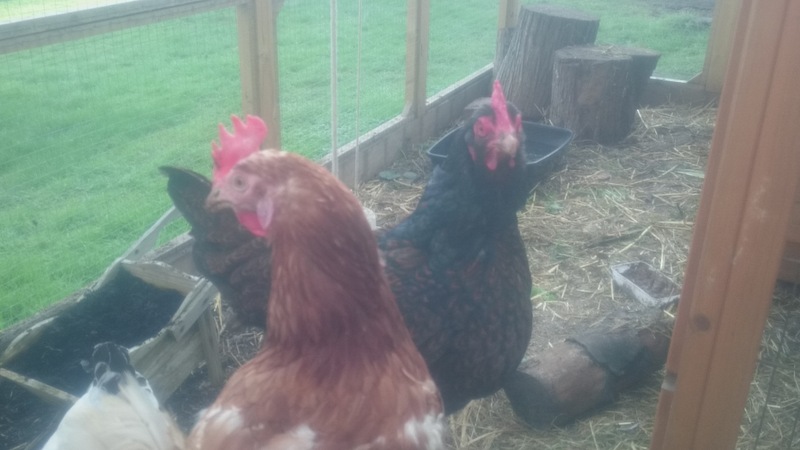 And finally, a few pics of my girls, because it’s not often they pose for the camera.